You may make use of The Company's services and websites, subject to the terms and conditions outlined in this document. This agreement is valid and binding on all persons who access this website (or any part thereof) or who use The Company's services (as outlined below). Please read this agreement carefully because by using this website or The Company's services you will be deemed to have agreed to be bound by it. If you do not agree to be bound by this agreement, you must leave this website immediately and refrain from using The Company's websites or services, as further use will automatically bind you to this agreement. By accepting this agreement, you also do so on behalf of behalf of all travellers included in your bookings made through The Company's website or services and represent that you have the authority to do so. The Company reserves the right, in its sole discretion, to vary this agreement or any part thereof at any time without prior notice or justification. Any such changes will be posted on this page. You are encouraged to review this agreement at the inception of each session, as you will be deemed to have accepted any such changes (which shall come into effect once posted on this website) if you continue to use The Company's websites or services after they have been posted. This agreement constitutes the entire agreement between you and The Company and supersedes any and all prior promises, representations, agreements, policies and understandings of whatsoever nature. To the extent that any part of this user agreement is found to be invalid, unlawful or unenforceable by any court of competent jurisdiction, such part shall to that extent be severable from the remaining terms, all of which shall remain enforceable and applicable, as permitted by law. Any failure by The Company to exercise or enforce any right or provision of this agreement shall not constitute a waiver of such right or provision. The Company has the right to cede, assign or otherwise transfer its rights and obligations in terms of this user agreement to any third party. The Company shall not be liable for any costs incurred by you to obtain professional advice regarding this user agreement. The laws of South Africa govern this agreement. You agree that any cause of action that may arise under this user agreement shall be commenced and heard in the appropriate court in South Africa. The Company is a travel agency that runs self-service websites (such as this website) that allow the general public to book travel services from various third-party suppliers. It is solely your responsibility to define and provide the correct information during the booking process, as well as to assess the suitability of any travel service before booking. The Company may engage you via various communication channels and perhaps even use the website on your behalf, but it is still your responsibility to make the final assessment of suitability and to check the accuracy of all information before making a booking. Any reservation you make using The Company's Services is booked for you with a third-party supplier (a "Supplier"). You acknowledge that The Company acts as an agent of the Supplier, who undertakes to render the agreed travel service to you. Any right of recourse that you may have regarding the supplied travel service will be directly with the Supplier, although The Company is always willing to assist wherever possible. All rates published on this website are subject to change without notice. Furthermore, rates displayed anywhere on this website, other than a quotation, are to serve as guidelines only. Only quotations offered directly to a user through the website constitute legal offers. Quotations are always subject to the availability of the Supplier. While The Company endeavours to display accurate prices at all times, pricing errors do occasionally occur. In such circumstances, The Company will reprice, even if the amount is included in a quotation or has already been paid for. The Company also recommends that you seek out insurance products to adequately protect you from the risks associated with your booking. There are various risks associated with travel, and you understand that none of these is guarded against by The Company. For instance, you should ensure that you are adequately protected against loss for reasons of illness, cancellation, injury, damage to your baggage, theft, or any other possibility. Each Supplier will have their own Terms and Conditions that apply to your booking. It is your responsibility to familiarise yourself with the Terms and Conditions of the Supplier before completing a reservation. The Company may accept instruction relating to a booking from any party with access to the email account or cellphone number used for the booking, or with substantive knowledge of the booking (such as the reference number). All bookings and related charges are non-refundable unless otherwise stated during the booking process. When a more lenient cancellation policy applies, that policy will be shown to you during the reservation process and included in your booking. In cases where no cancellation policy is shown, please assume a non-refundable booking or contact us to confirm which cancellation policy applies. On receipt of a written instruction from you to cancel a reservation, any amount owed to you by the Supplier in question, in terms of its cancellation policy, will be paid to The Company. Following this, The Company shall on-pay the received refund to you within 7 days of our receipt of the funds. The funds shall be deposited into your banking details (less any applicable fees). The Company shall not be obliged to make any payments to you in the event that you are not entitled to a refund, or the funds cannot be recovered from the Supplier. In the event that, after you have made payment for a booking, a Supplier no longer has your selected service (room/date/seat/flight) available, The Company will undertake to find you a suitable alternative or, failing that, refund you in full. You understand that flights are occasionally re-scheduled or delayed for various reasons, and it is your responsibility to check for such itinerary changes ahead of travel. The Company will not be held liable for such changes. Any additional costs including, but not limited to accommodation charges or alternate travel arrangements, will be for you. The Company and PayGate (Pty) Ltd use strict encryption. No credit card details are ever sent via unsecured methods such as email. Save as otherwise provided for in this agreement, the rules, processes and procedures of PayGate (Pty) Ltd and the relevant paying bank, clearing bank and card association shall apply to all payments and transactions concluded on this website and your rights and obligations in respect of payments due to or by you shall be governed accordingly. Notwithstanding The Company adhering to the above primary measures, you hereby indemnify and do not hold The Company liable for any loss, damage or liability of any nature arising from payments and transactions concluded on this website. The Company may charge you fees for services related to bookings, such as for placing, modifying, amending or cancelling the booking. The Company may receive payments or commissions from Suppliers for bookings. The Company may offer additional service offerings, optional or bundled, that may be offered directly by The Company or by the company acting as an agent of a Supplier. If, for any reason, you are dissatisfied with your booking, please call The Company immediately. If your dissatisfaction emerges during the course of your travel, you are encouraged to contact The Company immediately so that, where possible, the situation can be rectified for the rest of your travel. If you contact us after your travel, please do so within a week of your return or checkout. We do not, however, guarantee that we will be able to resolve your experience to your satisfaction. In the event that, notwithstanding the remaining provisions of this user agreement, we are liable to you for any damages, such liability shall be limited to a maximum of the monies that you have paid to us. information or material which you have submitted to The Company which violates any law or breaches any third party's rights (including, but not limited to, defamation, invasion of privacy, breach of confidence or infringement of copyright or any other intellectual property rights). Your interaction with any Supplier. Such interactions may include but are not limited to, any stay made at any accommodation booked through The Company's website or services or any flight scheduled through The Company's website or services. The interaction of any traveller associated with any booking made through The Company's website or services with any Supplier. Such interactions may include but are not limited to, any stay made at any accommodation booked through The Company's website or services or any flight booked through The Company's website or services. You hereby indemnify and hold harmless the Indemnified Parties against any losses, damages, liability, claims or costs of whatsoever nature, whether compensatory, direct, incidental, consequential or otherwise, incurred by the Indemnified Parties arising from or in any way related to (i) to (xii) above. The Company reserves the right to defend and control any claims arising from the preceding information, and you agree to co-operate fully with The Company in any such defences. Names, e-mail addresses, telephone numbers and fax numbers published on this website may not be incorporated into any database used for electronic marketing or similar purposes. No permission is given or should be implied that information on this website may be used to communicate unsolicited communications to The Company and all rights detailed in section 45 of the Electronic Communications and Transactions Act, No. 25 of 2002 ("ECT Act") are reserved. If you use information from this website in breach of this user agreement, The Company reserves the right to claim damages and/or institute criminal proceedings against you. It is your responsibility to acquire and maintain, at your own expense, the necessary computer hardware, software, communication lines and Internet access accounts required to access the Internet and this website and/or to download content from this website. You hereby undertake to keep secure any and all passwords that are required for your access to, or use of, the website. You are legally bound by any action performed on this website by any person with access to your account. You hereby indemnify The Company for any damage, loss or liability of whatsoever nature arising from unauthorised access to this website. You hereby undertake to ensure that all of the information that you supply to The Company is correct and continuously updated, including, but not limited to, your name and email address. The Company shall not be liable for any damage, loss or liability of whatsoever nature arising from any misrepresentation by you. In the event that you fail to keep your information current and updated, we reserve the right to suspend or remove your account. Except as otherwise indicated, this website, and all text, images, trademarks, trade names, logos and other content contained herein, including, without limitation, The Company logo and all designs, text, graphics, pictures, downloads, information, data, software, sound, video and other files, domain names, web pages, patents, source code, meta tags, databases, hyperlinks, content and the selection and arrangement thereof are the proprietary property of The Company or its licensors or users and are protected from infringement by South African and international copyright laws and treaties. These may not be reproduced or appropriated in any manner without the prior written permission of The Company (or the other respective owners, if applicable). This website and all its content and rights to it is reserved under the name of The Company. Unless expressly prohibited by a notice published on any page of this website, you may view, download and/or print such parts of this website as you may reasonably require for your own private and non-commercial use only - provided that any copy has attached to it any relevant proprietary notices and/or disclaimers and the content of this website is not reproduced, modified, adapted or processed in any manner whatsoever. Except for the above, all other use of this website and its contents is prohibited, and without limiting the generality of the aforegoing, no person shall be entitled to reproduce, transmit, publicly perform, distribute, adapt, translate, modify, bundle, merge, share, make available, use or exploit for commercial or non-private purposes or create derivative works of such content without The Company's prior written consent. You are not allowed to amend, copy, use, decompile and/or reverse engineer the source code of this website. You may not use logos, icons or trademarks from this website as hyperlinks or for any other purpose without The Company's prior written consent. This website contains material which is owned by or licensed to The Company. This material includes, but is not limited to, the design, layout, look, appearance and graphics, and may be subject to copyright and/or other design or intellectual property rights. You may not copy, replicate or use such information, other than as agreed to between us and/or the right holder, or to the extent that such use is incidental to your use of the website. The Company undertakes to take reasonable care to ensure that the information provided by third-parties on this website is accurate and up to date. The accommodation establishments listed on this website legally commit to providing us with accurate and up to date information. However, we do not perform site inspections of the accommodation establishments. We accordingly make no warranties concerning the accuracy or completeness of the information supplied by the accommodation establishments listed on this website or of information supplied by users of this website. You are encouraged to report untrue, inaccurate, defamatory, illegal, infringing and/or harmful content available on this website to The Company and we shall use our reasonable endeavours to correct and/or remove such content, or any part thereof, if you provide reasonable grounds to prove the alleged nature of such content. While every effort is made to ensure that all information on the site is updated and correct, The Company shall not be liable for any loss, breach, damage (whether direct, consequential, general or special) or expense of any nature whatsoever which may be caused, directly or indirectly through the use of, supply or reliance upon any information or service provided by or to The Company through this website. We undertake to maintain our reservation service and the technology supporting it, but we make no representations or warranties, implied or otherwise, that, amongst others, the content and technology available from this website are free from errors or omissions, or that the service will be uninterrupted and error free. The Company shall not be liable for any damage, loss or liability of whatsoever nature arising from any defects that may be found to exist, or may occur from time to time, in The Company service. You are encouraged to report any possible malfunctions and errors to The Company. Furthermore, The Company shall not be liable for any direct or indirect loss or damage suffered whatsoever as a result of "hacking" of this website, planned or unplanned outages or the actions of service providers, including relevant hosting and equipment providers. You hereby indemnify and hold The Company harmless in respect of any claim arising from any "hacking" or other outages of service. The Company is not responsible for the content, availability, products and/or services of any other website from which you have accessed this website or to which you may hyperlink from this website. Where we provide a hyperlink to a third party's website, we do so because we believe in good faith that such a website contains or may contain material which is relevant to this website. Such a hyperlink does not signify that The Company has reviewed or approved of the third party's website or its contents, products or services, nor does it imply a recommendation, endorsement, support or association by The Company of the content, products and/or services of such websites. You may not frame this website in any manner whatsoever, without the prior written permission of The Company. The Company shall take all reasonable steps to secure the content of this website, as well as the information collected from you, from unauthorised access and/or disclosure. The Company does not, however, make any warranties or representations that the content of this website shall be entirely safe or secure. We recommend that you install anti-virus software before downloading any material from this website and ensure that such software is compatible with your equipment and regularly updated. You may not deliver or attempt to deliver, whether on purpose or negligently, any damaging code, such as computer viruses, robots or spyware, to this website or the server and computer network supporting this website. Notwithstanding criminal prosecution, if you deliver or attempt to deliver any damaging code to this website, whether on purpose or negligently, you indemnify and hold The Company harmless, without limitation, against any and all losses, liabilities and damages which The Company may suffer as a result of such delivery, attempt or damaging code. You may not develop, distribute or use any device or programme designed to breach or overcome the security measures of any restricted pages, products and services on this website and The Company reserves the right to claim damages from any persons who are directly or indirectly involved in the development, use and distribution of such devices or programmes. If you commit any of the offences set out in sections 85 to 88 of the ECT Act, you shall, notwithstanding any criminal prosecution, be liable for all losses, liabilities and damages that may be suffered by The Company due to or related to such offences. The Company reserves the right to restrict, suspend or terminate your access to this website at any time if The Company is of the view that you have breached these conditions of use. Any such restriction, suspension or termination will be without prejudice to any rights which The Company may have against you in respect of such breach. The Company has the right to remove this website as a whole, or any sections or features of this website, at any time without notice. The Company does not provide any warranties or make any representations that this website shall be available at any specific time. This website is supplied on an "as is" basis, without any warranty of any kind, express or implied, as to the operation of this website, the accuracy of the information or the products or services referred to on this website and has not been compiled or supplied to meet your individual requirements. It is your sole responsibility to satisfy yourself prior to entering into this user agreement with The Company that the service available from and through this website will meet your individual requirements and be compatible with your hardware and/or software. The Company may ask customers to review suppliers after their travel experience. These reviews will always be voluntary. By uploading, submitting or otherwise making available or contributing any content in a customer review on The Company website, you grant The Company an unrestricted, worldwide, non-exclusive, irrevocable, perpetual, royalty-free, fully paid up, license to use, make, have made, reproduce, display, perform, publish, upload, post, modify, create derivative works from, transmit, distribute, sell, offer for sale and sublicense or otherwise transfer those materials or information or their modifications. Additionally, you grant The Company permission to authorise third parties to do any, some or all of the foregoing including, but not limited to, sublicensing others to do any some or all of the foregoing indefinitely. You represent and warrant that you have sufficient rights in those materials or information to grant these rights and licenses. In addition, you choose to surrender any attribution rights to the content you submit. 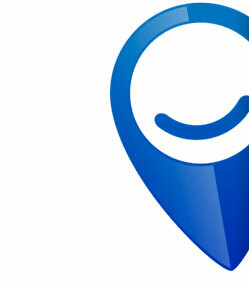 In addition, by uploading, submitting or otherwise making available or contributing any content in a customer review on The Company website, you grant The Company the right to display your full name and country of origin in close proximity to the whole, part or derivation of your submitted review content anywhere on The Company website. You will be able to unsubscribe from our newsletter at any time by clicking on the unsubscribe link at the bottom of all our email communications which will automatically remove you from the list. If at any time you wish to have your information removed from our active databases, please contact us. In addition to the policies and procedures we employ to safeguard your data, your data is protected by the Electronic Communications and Transactions Act, 25 of 2002. Subject to the remaining provisions of this policy, The Company will not share personal information with any other third parties without your permission, unless required by law enforcement action, subpoena or applicable law or regulation. Your contact details, email address and/or phone number. Your passport number or ID number. Personal information given to The Company may be transferred across country borders for the purposes of data consolidation, storage and simplified customer information management. Some of the countries to which your personal information may be transmitted may not provide the same statutory protection for your data as South Africa. The Company shall be entitled to disclose such information to its subsidiaries and affiliates and those suppliers engaged by The Company to process data on its behalf. The Company could, furthermore, merge with or be acquired by another business entity or organisation. In that event, The Company shall be entitled to share with the merging or acquiring entity some or all of your personal information (who shall not be allowed to use such personal information for any purposes other than as contemplated in this policy). The Company shall not be liable for any damage, loss or liability of whatsoever nature arising from any unintentional misuse of any information supplied to such merging or acquiring entity. Track your movements through this website, analyse your movements on this website through the use of 3rd party tools including but not limited to "Google Analytics", and collaborate with 3rd party tracking services including but not limited to "Google Adwords". Any collaboration with a 3rd party is done in good faith that your privacy will be adequately protected. Collect IP information: When you enter The Company website, we may collect information such as your IP address, your domain name address, the type of web-browsing software that you use, the kind of operating system that you use and the URL of the webpage from which you came to visit this website. This information is used by The Company to improve or maintain the user's experience on this website, and for general statistical purposes. The Company shall use reasonable endeavours to keep all your personal information accurate. You will always be provided access to this information, and have the opportunity to have inaccuracies corrected. We shall ensure that all inaccurate or incomplete information is corrected as soon as possible. Reasonable steps will be taken to verify your identity before granting you access to your information. If you would like your personal information to be deleted from our records, we shall ensure, on notification by you, that this is done as soon as reasonably possible. The Company owns and retains all rights to the non-personal statistical information collected and compiled by The Company. The Company shall take reasonable steps to protect your personal information. In the unlikely event that the security of your personal information in our possession becomes compromised, we shall notify you thereof as soon as reasonably possible under the circumstances.